Drilling holes in bamboo is not like drilling holes in wood. With the right drill bit a clean hole can be drilled. 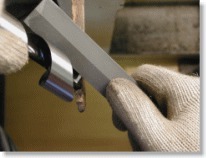 A drill bit with a spur, or wing, pre-cuts the bamboo, while the screw point keeps the drill bit where it is needed instead of sliding around on the smooth surface. 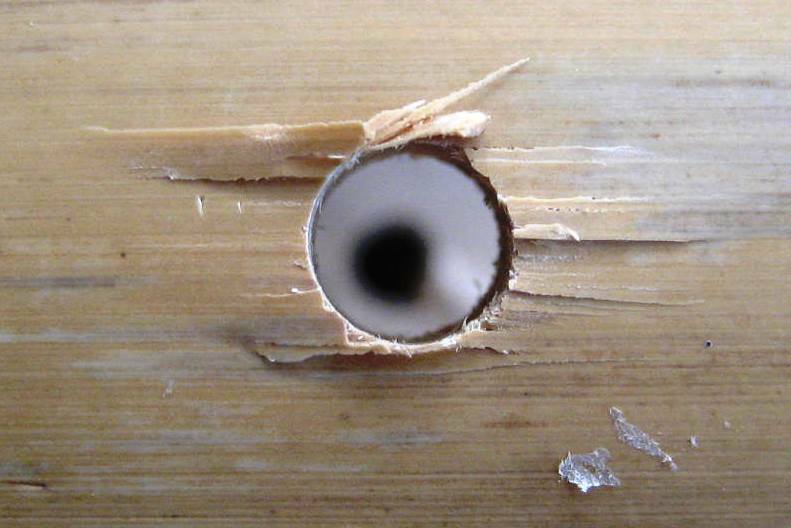 However, drilling right through a round piece of bamboo results in an messy, splintered exit wound where the smooth outer surface outer coating is cracked and split – no matter what drill bit is used. This is a problem discussed at length in a thread on Bamboo Forums if you’re interested in following the discourse. Bamboo is NOT kind to drill bits. 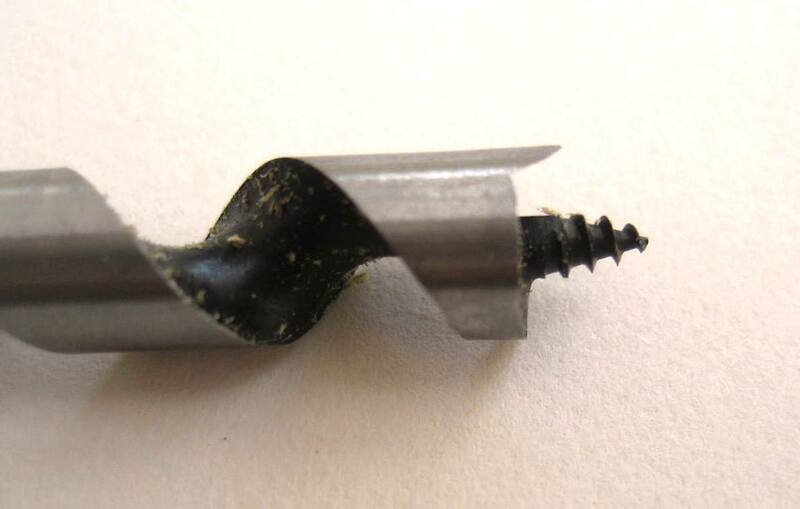 Of the 2 drill bits I purchased – 4 & 6mm – the 6mm bit turned out to be one I used most, so it rapidly became blunt. The silica outer coating of bamboo blunts drill bits and knifes much faster than wood does. At my request, some drill bits just arrived from Japan (Thanks Chris!) 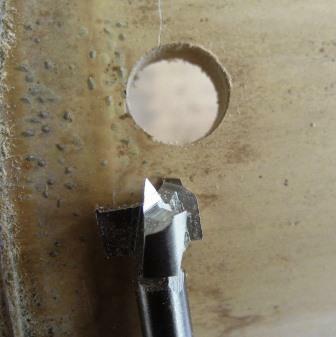 – I couldn’t find anything similar to replace the 6mm Star-M drill bit I purchased in a VERY large home improvement store on the outskirts of Tokyo this time last year. You can read about the Star-M drill bits in English here. The freshly arrived drill bits were of two lengths – 16 cm, and the more standard 9cm. Left to my own devices, it would not have occurred to me to buy a 16cm long drill bit, but the long one was instantly handy for drilling straight through the rather scrappy and dry large bamboo that supports the seasonal shade cloth for the vege garden. Straight through. 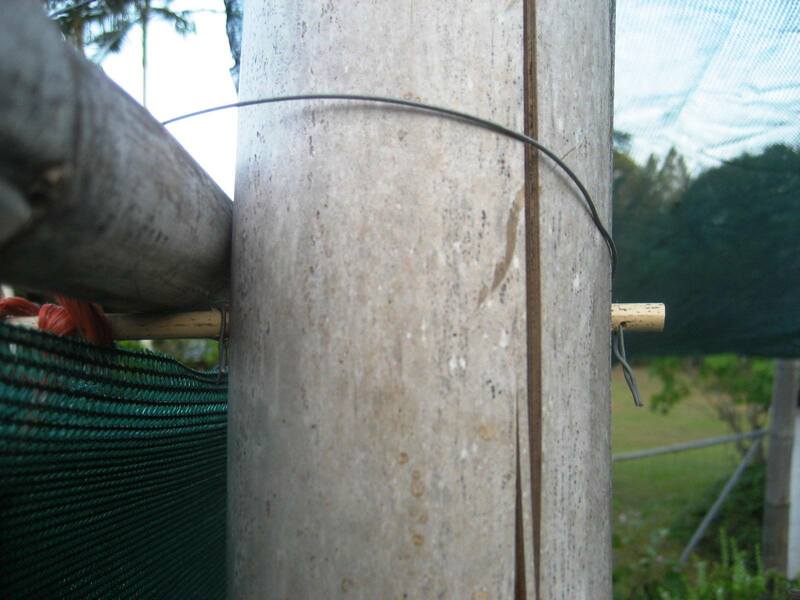 No more need to guess where that hole on the other side of the bamboo should be. (Thanks, Chris). 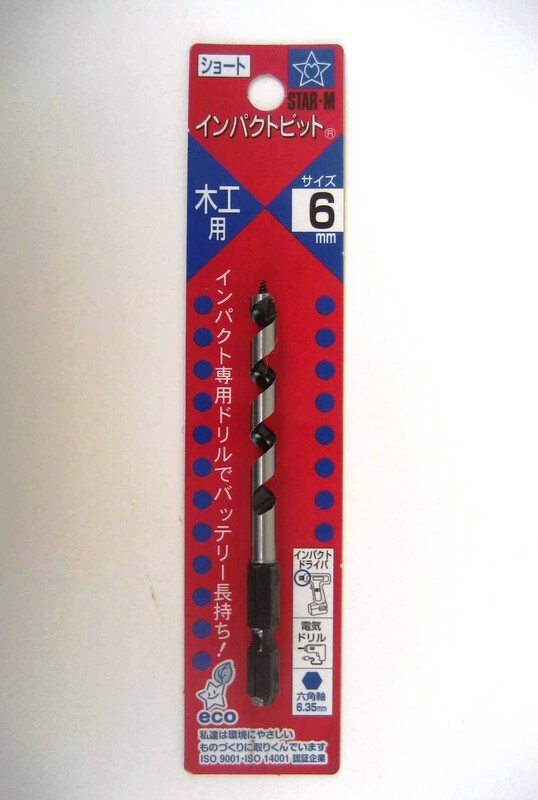 Have you got a friend in Japan who can dash off to the local hardware to pick up some drill bits for you? (Thanks again, Chris). This entry was posted in All, Bamboo craft and tools and tagged bamboo, drill bits, drilling, Japan, Tokyo, tools on 28/09/2013 by Deb.